You'd like to swap your cubicle for a new city every week. Even if you love your job, the perpetual slog to and from the office gets tiresome. A career that involves travel, then, might be more appropriate for you. From the careers site Indeed.com comes a new instruction manual in how to get paid for stepping on planes and getting lost in new territory. The website is acting as something of a career sherpa here, listing 15 jobs that'll force you to travel, or continuously step into the void, if you will. 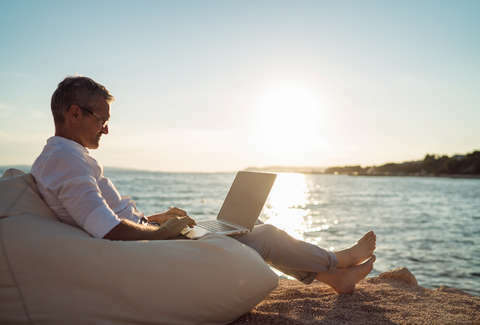 And, hey, traveling for work has benefits apart from taking in new scenery, as the report states: "Research shows that people are at their most creative and 'cognitively flexible' when spending time in a different setting." Would you like to become more "cognitively flexible"? I'm sure you would. 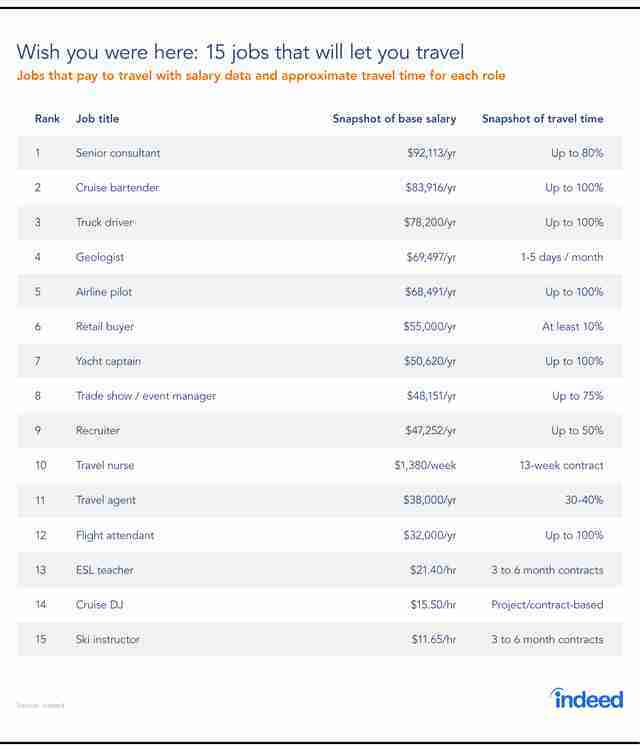 Here's Indeed's list of the 15 best jobs for travel, complete with their respective salaries and estimations of how much travel comes with the gig. There are some jobs here that are inherently tied to travel, but it still helps to have this mapped out, in case you've been wilting under the florescent lights in your office. Cruise bartenders and truck drivers, for instance, are always on the go on both sea and land, respectively. While both vocations don't require a college degree, they can still net you $83,916/year if your pouring Mai Tais for well-heeled senior citizens, and $78,200/year if you're behind the wheel of a big rig. If you're not inclined to become a flight attendant, or travel agent, it might be smart to swing for the fences and just become a yacht captain, which annually earns $50,620/year and comes with a license to wear a captain's hat and smoke a corn cob pipe.